Heather McGill was speaking after the fire in a row of vacant garages off Galwally Park at the top of the Ormeau Road in the early hours of Saturday (November 5). Police believe the blaze was started deliberately. 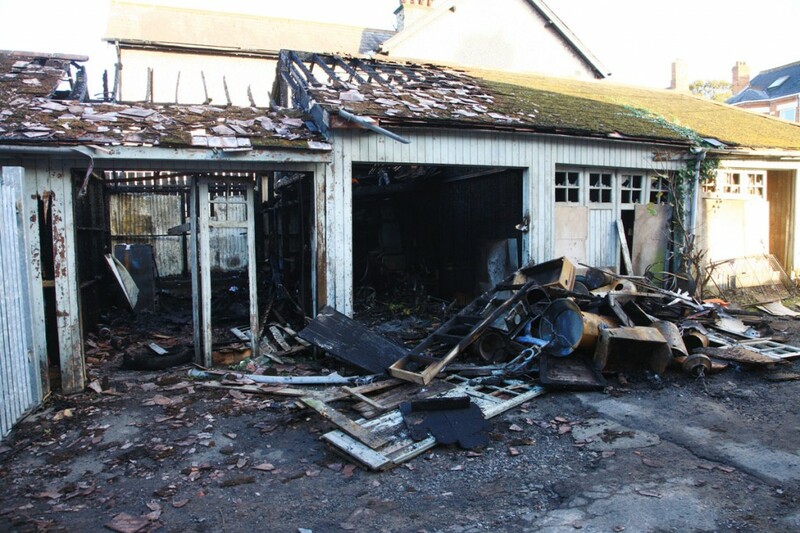 Two men – aged 21 and 24 – were arrested on suspicion of arson but have been released pending further enquiries. Heather, who owns the Coffee Stop shop beside where the fire took place and is a resident of Galwally Park, said if the blaze had reached nearby stores, things could have taken a deadly turn. “There is a shop selling gas cylinders only a few doors down from my own store and if the fire had gone in there, it would have been like a nuclear explosion here. “It all happened about 6.30am, so people were in their beds and would have been blown to smithereens if that had happened. I live very close to the sheds, so both my business and home would have been gone in that case. Heather said shop-owners in the row had long been concerned about the potential for something dangerous to happen there. “The sheds have sat vacant for as long as I can remember and no-one seems to know who owns them. Everyone just seems to use them to dump things in, so it’s no surprise they went up. If a good thing comes from this it could be that we all get together and take responsibility for them. Heather said those who carried out the arson were “disgraceful” and should think “long and hard” about their actions. A Fire Service spokesperson said three appliances tackled the blaze and managed to bring the four garages under control around an hour later.